With nearly 640 exhibitors and 24,000 professional visitors annually in Angers, SIVAL is the only trade show in France to present a comprehensive and impressive offering of equipment and services for all plant productions: arboriculture, vegetable crops, seeds, viticulture, horticulture, medicinal and aromatic plants, cider, mushrooms and tobacco. A unique offering for cider production and medicinal and aromatic plants. SIVAL is also meeting the challenges of future production as it is focusing on innovation and on the agriculture of tomorrow: hosting of young innovative companies, SIVAL Innovation Competition, AGREENSTARTUP competition for new companies … SIVAL has fully embarked on the AGtech trend. It offers concrete answers for a connected and precision agriculture, for robotics, data, AI issues as well as for alternate production methods. the organisation of Fruit 2050, the prospective event dedicated to the professionals of the European fruit industry and dealing with the future of fruit crops. Our job centre is opened all along the exhibition and job dating sessions are organised on Wednesday 16th and Thursday 17th. Thanks to our partnership with APECITA and AREFA, SIVAL puts recruiting companies and job seekers into contact, the latter thus receiving support in their looking for a job as well as customised advice. Come talk about new practices and new orientations at the SIVAL conferences and the Opportunities Forum! Listen, discuss and learn to make the most of your business. 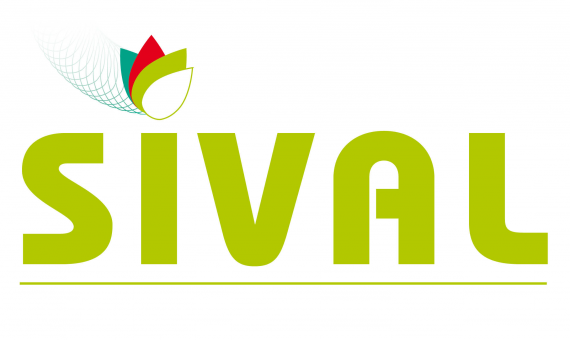 Under the presidency of Bruno Dupont, President of the National Federation of Fruit Producers, the Organizing Committee of SIVAL is composed of Vegepolys, technical agencies and speciality crop professionals. SIVAL is one of the highlights of VEGEPOLYS and the region, and the only event in which the entire cluster comes together to discuss their production problems. Organised by Destination Angers, a brand name created by ALTEC (Angers Loire Tourisme Expo Congrès – a Local Public Company) whose two equal shareholders are the Municipality of Angers and Angers Loire Métropole (Greater Angers), SIVAL supports the development of the plant production industry.